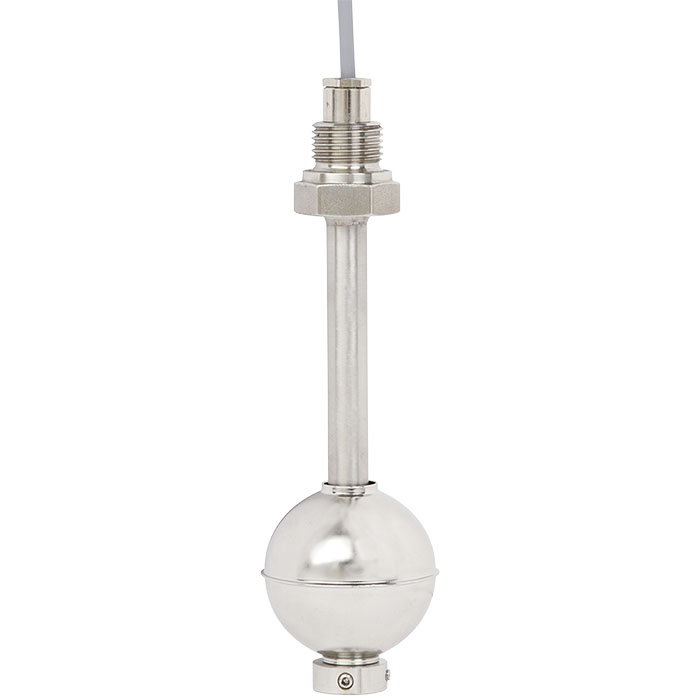 The model RLS-3000 float switch with temperature output combines the recording of the level and temperature of liquids in a single measuring point. The stainless steel used is suitable for a multitude of media, such as, for example, oil, water, diesel and refrigerants. The additional temperature output enables the medium temperature to be monitored by means of a preconfigured bimetal temperature switch or a Pt100/Pt1000 resistance signal.